Media - Live Life Revolution | Stop Existing. Start Living. 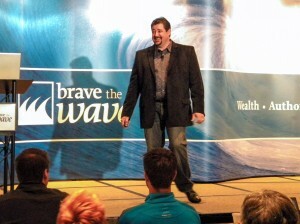 Jim is available to speak at select events on various topics such as the Live Life Revolution principles, achievement, motivation, determination, inspiration, success, leadership, excellence and vision. Jim often says and has proven that it’s NEVER about how you start. It’s ALWAYS about how you finish. According to statistics, Jim Howard should have failed as a man, but instead, he embraced life as being the best teacher for winning at the game of life. 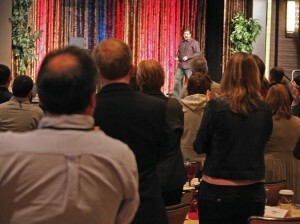 His energetic, straightforward, no fluff approach to teaching is as unique as his message. Jim has a true compassion for people that comes through in every conversation and presentation he makes. With almost 25 years in commercial print, branding and publishing, Jim has dedicated much of his life to helping entrepreneurs, CEOs and business owners move ahead in their business. It’s Jim’s “Never Satisfied” approach to life that compels him to constantly seek the simplest way to get to what he wants, that has driven him to become a champion as a business leader, junior and high school football coach and husband/father of almost 25 years. When you listen to Jim, be prepared to feel and notice change happen in the room. You will see his appeal and confidence come through as soon as he hits the stage as he shares his steps on how he has taken a life that statistically should have failed and turned it into one that has affected so many in positive ways. Life is a choice and Jim has chosen to take the one he has and truly Live Life! 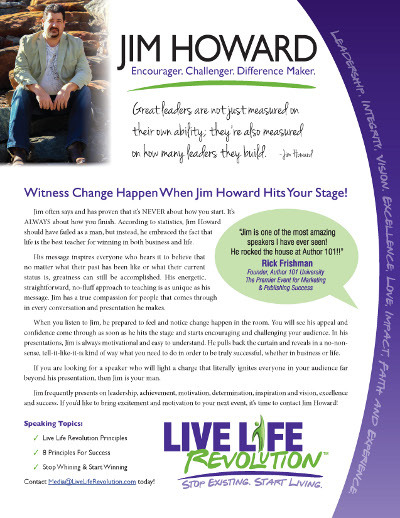 Please fill out the box at the bottom of this page for us to contact you about Jim speaking at your event OR email media@LiveLifeRevolution.com. Thousands of entrepreneurs around the world, including myself, and most of my clients and friends, owe a debt of gratitude to Jim Howard for his inspiring advice, mentoring and leadership. When they write the history of leadership, Jim doesn’t get a mention… he gets his own page. When Jim speaks, you can tell he is really sincere about what he is teaching. He really wants to help people be better. Sure, his delivery is amazing and he is very professional and entertaining, but he connects with the audience and really puts a desire inside of them to have a better life. You feel like your best friend, someone who really cares about you, is talking to you and is giving you the steps you need to be better.” I love it when my speaker makes me look good and Jim definitely delivered! I’ve seen it happen first hand – when Jim speaks, lives change. He somehow manages to educate, encourage, and entertain all at the same time. His charisma, command, and confidence release an electricity that changes the atmosphere in the room. Jim Howard is a man of character that you can trust. He has a very rare gift; he is a powerful Motivational Speaker and Author. When Jim speaks you can hear a pin drop. He empowers you for a brighter future whether you are increasing sales, building leadership skills, or developing personal growth. Jim gave me a tremendous amount of clarity, direction and real world strategies that we could use in our business and my personal life. 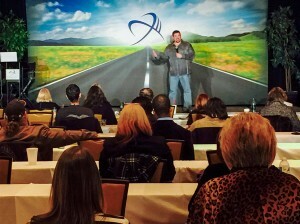 I’ve listened to and worked with motivational speakers for the past 30 years. Most of them are good but fit into the stereotypical mold. They use hype and theatrics to make you feel really good…but give no substance to take home with you. Every now and then you run into one who is head and shoulders above the rest, one who presents in a completely different way — Jim Howard is one of them. Jim’s background as a youth football coach forms the basis for REAL motivational speaking without the hype and theatrics. 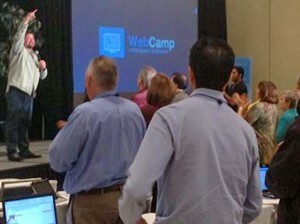 Jim holds the audience spellbound as he delivers information you can take home and put to immediate use in your life. Jim, I wanted to thank you for your powerful presentation! I was very moved and inspired by the stories and examples you shared about being successful. It was amazing what you have gone through and how you have impacted so many people! I hear a lot of good presentations each year, but I have heard you twice now and I can remember what you said and how you said it, unlike any other presentation I have ever heard. I even have my own personal ‘war cry’ to keep me going strong. Your passion, your energy and your good-spirited attitude have supported me to take action and create my own success story! Thank you so much Jim! Keep up the good work and keep me on your mailing list so I can follow your speaking schedule! When Jim speaks, you just know he’s talking directly to you. His compassion, warmth and sincerity come through so strongly you know it’s all about making you a better person. The life lessons that are shared are so inspirational that their impact can be life long.